A Thousand Gardens in Africa. 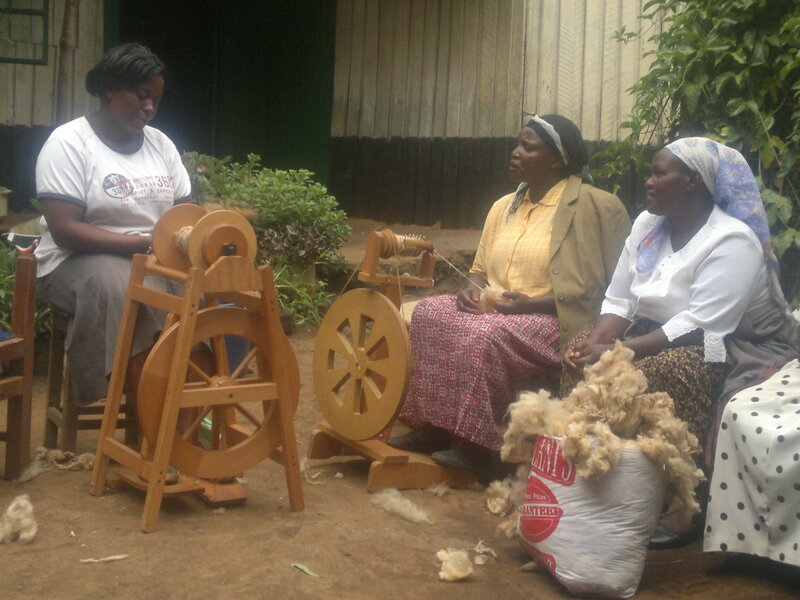 Next month, the first coordinator’s workshop on the continent will be held in Nakuru, Kenya. In the lead up to the event, we asked coordinators Jane Karanja and John Kariuki for an update on progress in their home country. Can you paint us a picture of agriculture in Kenya? JANE: Around three quarters of our population are involved in food production – mostly small-scale farmers – but erratic weather patterns, vast regions of arid desert and poor government policies make it a very unstable livelihood. Periods of drought can be crippling, not only for the food supply, but for jobs as well. We need policies for sustainable food cultivation to help the rural population that relies on subsistence farming for their own food as well as income. JOHN: Our small-scale farmers produce the highest proportion of food in the country, yet unfortunately they live lives of poverty, isolation, hunger and malnutrition. 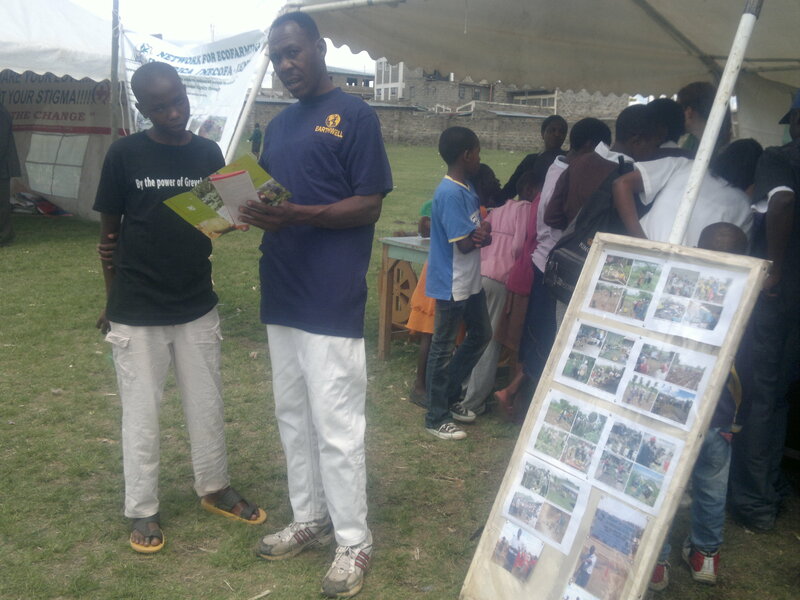 Tell us about the Thousand Garden in Africa project in Kenya? JOHN: Our goal is to create 200 gardens in Kenya during 2011-2012 across Kenya, from Mombasa on the eastern coast to Homa Bay in the west. The reason for such an optimistically high number is that the Slow Food network here is already very active. We already have 13 convivia and UNISG graduates who will help us to coordinate the project, 11 school gardens, and hundreds of people involved (teachers, students, families etc). This project, more than just creating gardens, is about joining a network across Africa to exchange our experiences. What kind of food will be produced in the gardens? JANE: We have a strong focus on promoting growing native Kenyan crops in the gardens. The gardens will teach communities to cultivate a wide range of grains, legumes and vegetables such as amaranth and millet, which we traditionally use to make flour for porridge and other nutritious dishes; stinging nettle, which is common in traditional recipes such as mukimo -prepared with mashed potatoes, corn, beans; and pigeon peas, kale, black night shade, cassava and sweet potato to name just a few others. Have you got any feedback from people involved in the school garden project started in 2005? JOHN: Parents were reluctant to get their children involved in the food gardens at first, as in Kenya agriculture has always been used as punishment for students who don’t do well at school. Once the parents got involved, they started to see the benefit and change their attitudes. JANE: After we set up gardens in the Molo district, we found out that kids went home and asked their parents if they could create a garden at home! This was immediate feedback that the project, and the idea of creating gardens that can be replicated, works. Why do you feel there is a need for this type of project in Kenya? JANE: Agriculture is so important in Kenya but education is lacking. As in other African countries, we are seeing a loss of traditional products and an increase in imported and junk foods and Western-style chronic diseases. However access to information to help reverse this trend is inadequate and Kenyan schools don’t include agriculture as a subject anymore. This project is important as students learn by doing, giving them the opportunity to gain hands-on skills that they can utilize at home for a healthier approach to the future. JOHN: I think what one teacher told me sums it up well. He said, we are not doing it so that all the children become farmers; we are doing it because whatever they do, they will have to choose what to eat every day for the rest of their lives. This starts them on the right path to understanding where food comes from and making thoughtful decisions. You can become anything, but you will always have to eat. What do you hope will be achieved from the project? JOHN: More than anything, I hope that the young people involved will take a more positive attitude to food production and understand that a respectful career and income doesn’t necessarily mean becoming an engineer, doctor, or pilot, but can also be earned by practicing sustainable agriculture. We also want to increase the respect given to small-scale farmers and make them understand that they have enough resources at their disposal to produce healthy food for their families. They can use their own farmyard manure, plant extracts for pest control and traditional ways of selecting and preserving their own seeds. Tell us about the workshop next month. What are you hoping to achieve? JANE: The workshop will bring together people from English-speaking African countries involved in the project to discuss how to put the methods in the garden handbook – that was developed in March by African agronomists – into practice. On the last day the participants will visit one of the pilot school gardens and take a tour in the Mau forest where they will plant trees and share lunch with the Indigenous Ogiek community. JOHN: Bringing participants of the Thousand Gardens project together will help us realize the scale and importance of this project, and that despite our different cultural and socio-economic backgrounds we are one united group committed to changing the African food system. By the end of the workshop we will have discussed the methods in the handbook thoroughly and expect to come up with best-practice models for school, community and family gardens so everyone is ready to move forward. Jane Karanja and John Kariuki are graduates from the University of Gastronomic Sciences and coordinators of the Thousand Gardens in Africa project in Kenya. John is vice-president of Slow Food International. 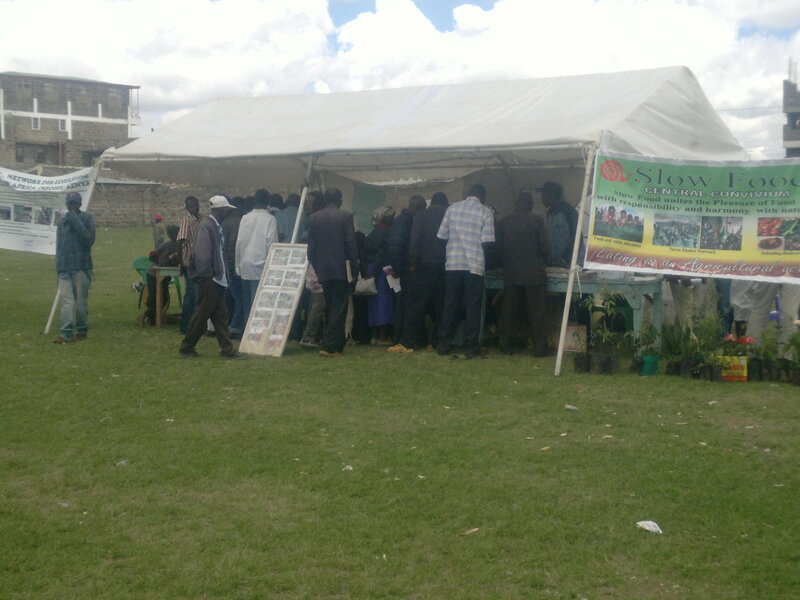 Network for Ecofarming in Africa and Slow Food Central Rift Convivium were among Molo stakeholders’ members who participated during Molo stakeholders Agricultural show at Molo stadium. 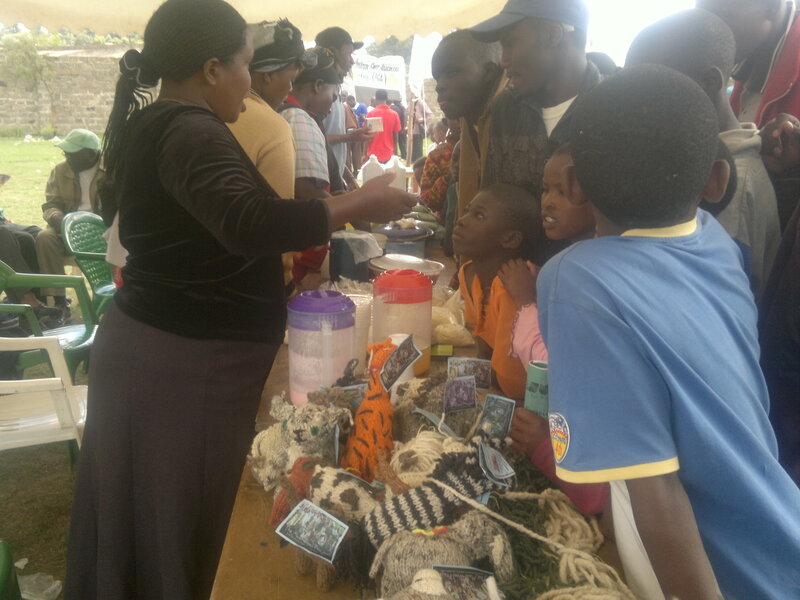 Food communities, schools and different members of the society were all at the stadium to learn and taste different local food products that had been brought by different food communities. In attendance were Slow Food Presidia producers, who exhibited presidia products which the participants enjoyed tasting, eating and learning about them. It is in events like this, that farmers get to increase their knowledge and skills on issues about Agriculture and food consumption. There is inter generational knowledge transfer from farmers to school going youth on issues related to food and culture, stakeholders strengthen their relationship with farmers and others in the community as they get time to interact on one to one basis.